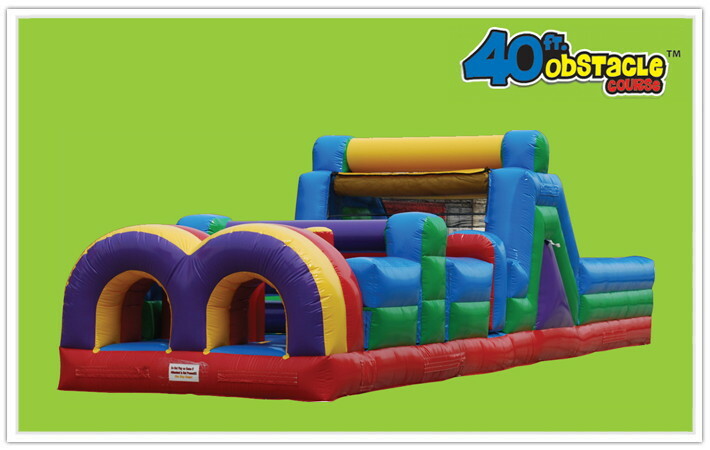 The Obstacle Course is an oversized inflatable play structure which has a bright and colorful theme of yellow, red and blue, perfect for high-traffic days. The 40ft Obstacle Course is set up for friendly competition play, with dual entrances and exits. This impressive structure measures over 40 feet long.